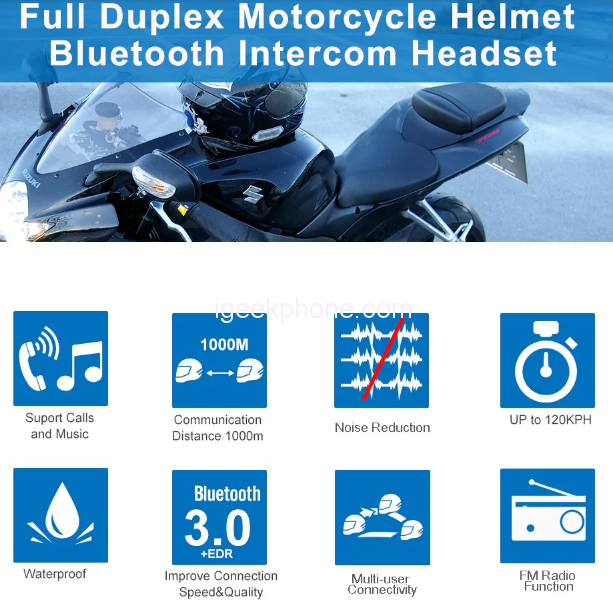 The Alfawise Motorcycle Helmet Intercom Headset Bluetooth Interphone is Easy to Install and Excellent Waterproof: Only ensure the position of the receiver and microphone in the helmet, and try to let the receiver close to your ear, and Rain or Snow can be full of fun on riding. 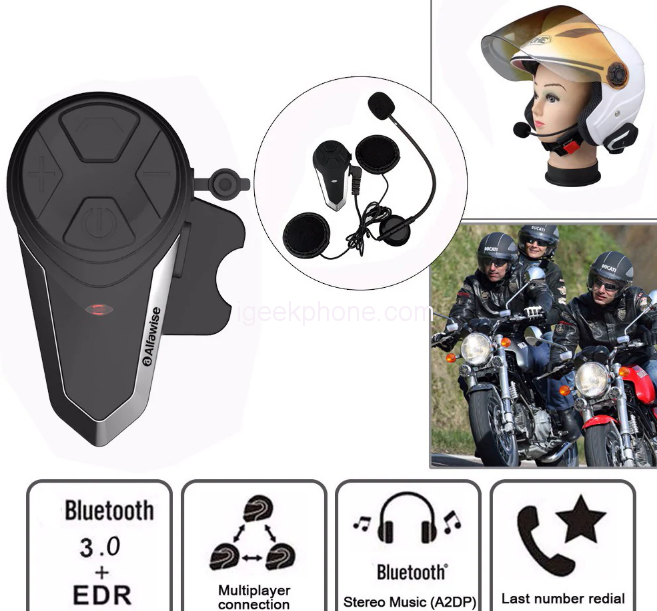 The headset comes with a powerful function such as, When you’re riding, you can not only communicate with your friends but also listen to music, answer or dial the call, MP3 / GPS ( A2DP stereo music ), FM, which make your ride more exciting and interesting. 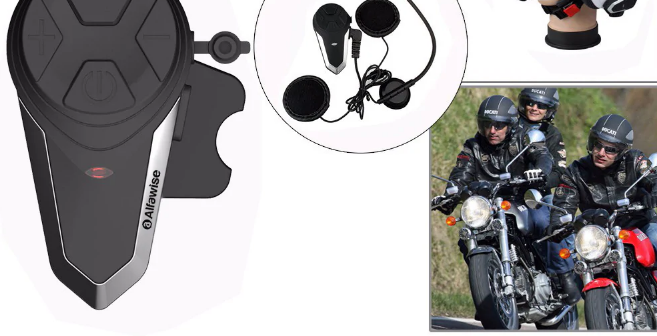 at max how many people can connect in intercom through this device? ?